But it doesn't take much to fix them. 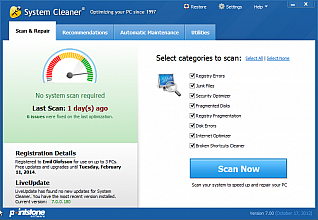 All you have to do is download System Cleaner, the premier software package that's custom designed to get your Windows-based PC performing as if it were factory new. I have recommended this product to everybody I know and believe me I don't normally do that but this product is such a lifesaver that I wanted to share it with everyone.